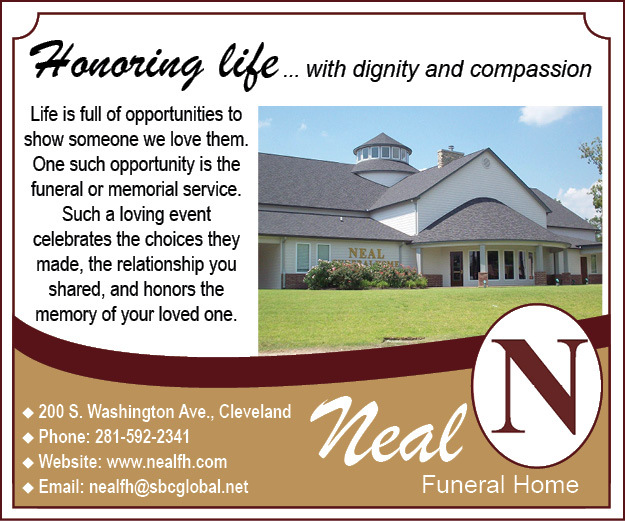 Leon Henry Burgess, age 71 of Cleveland, Texas, passed away Friday, October 20, 2018. He was born December 13, 1946 in Winston Salem, North Carolina to parents Dalton Henry and Margaret Louise Mason Burgess who preceded him in death. Survivors include his loving wife of 37 years, Rebecca “Becky” Burgess; daughter, Frances Kuykendall and husband James; brothers, Donald Burgess and wife Connie, Mike Taylor and wife Jaqui and Eddie Taylor; sister, Linda Musick and husband Keith; grandchildren, Emily Kuykendall, Logan Kuykendall, and Nathaniel Kuykendall; numerous nephews, nieces, other relatives and friends. Leon was a 1965 graduate of North Shore High School. He had a love of animals, as well as fishing and hunting. He also loved putting in his 2 cents into the Republican Party….“he bled red”. Next articleStephen “Little Stevie” Blair Holder, Jr.